Tutankhamun Dagger - more info? 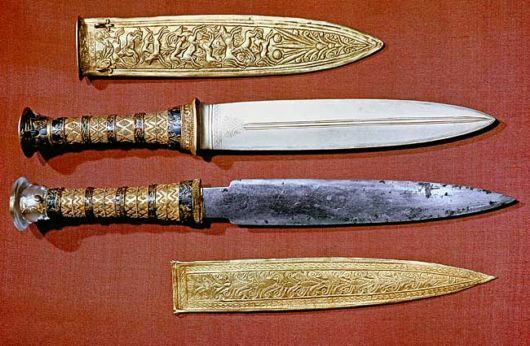 Thread: Tutankhamun Dagger - more info? 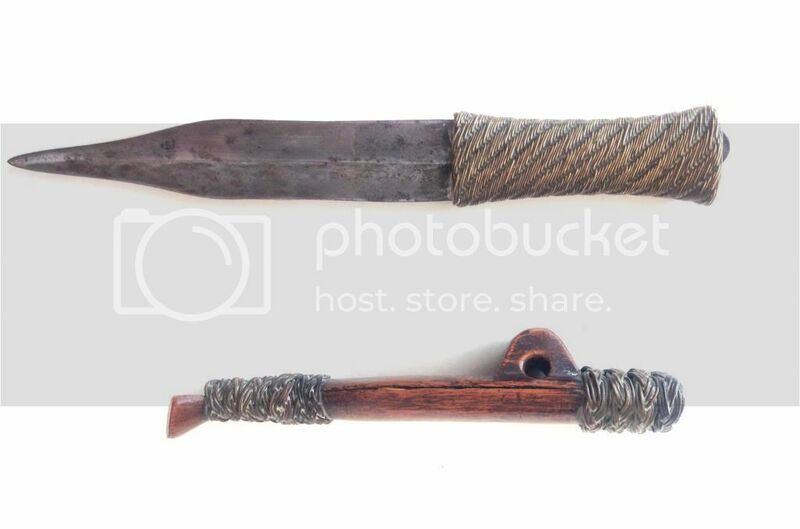 I have come into possession of a Egyptian knife or dagger, and have been told it is a tutankhamun dagger, I am just looking for more information about the knife and possibly a estimation of price. Daggers made in ancient Egypt were mostly made of stone, copper, bronze, and a few rare iron blades, Tutankhamen's dagger was made of solid gold, most were very elaborate and with extraordinary craftsmanship, not many of the Egyptian weapons have survived the 5000 years since they were created so at best most are in pieces and usually depicted in drawings or Photo-shopped from pieces, but there are a few examples that have survived, Tutankhamen's solid gold dagger is one of these surviving daggers, an iron blade wouldn't not be in the best of condition even if it survived the ravages of time and corrosion and would certainly be in pieces. What you have maybe old or maybe not and could be from Egypt but certainly not ancient Egyptian, if it were from ancient Egypt it would be a miracle for it have survived in the condition it's in, it was most likely modern and made to be sold to tourists. Here are a few sites with some ancient middle eastern and some ancient Egyptian blades and weapons. Last edited by AU Seeker; Jun 16, 2013 at 07:00 AM. SEEK AND YEA SHALL FIND and when you do THANK GOD!!! 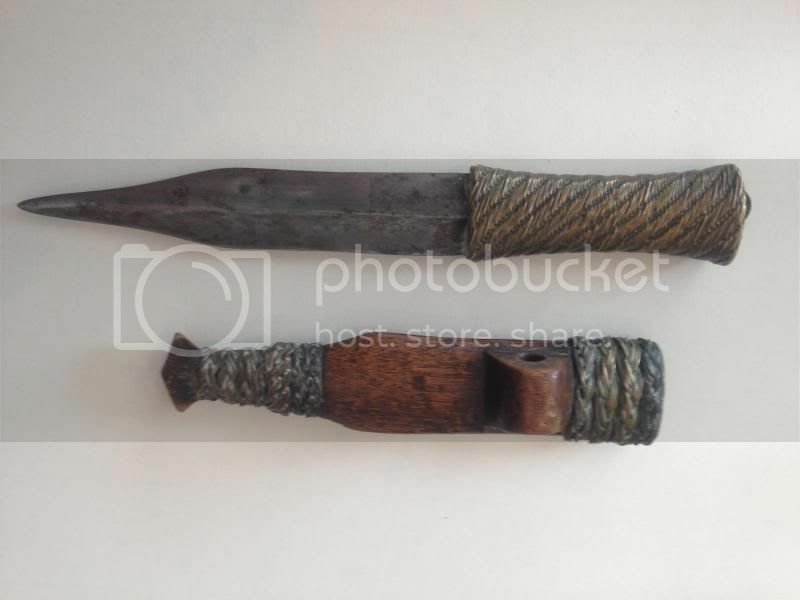 The knife Derekdan has is a modern blade which is not a replica of these. The handle and ornamental portions of the scabbard are cast bronze. The blade itself looks to be made of mild steel that was unevenly heat treated with a torch. Most likely, it is something sold to tourists for much more than it's worth. Estimated value, maybe $10 - $15. Tuts Dagger? Need more info! By derekdan in forum What Is It? By painted in forum What Is It? By beavis in forum What Is It? By txkickergirl in forum What Is It? By AA23 in forum Treasure In The News!